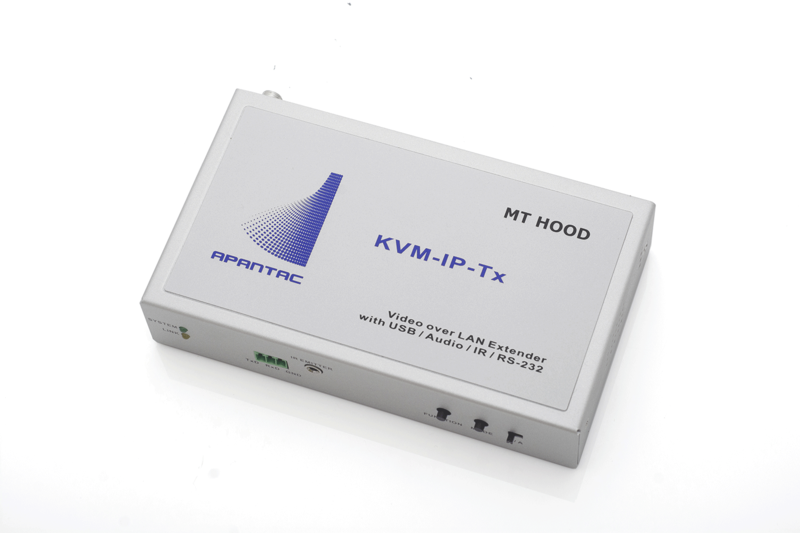 Apantac, an internationally recognised manufacturer and pioneer of cost-effective and feature-rich multiviewers, video walls, extension and signal processing solutions have expanded their line of KVM over IP extenders and matrices. These were showcased at IBC 2018. Functioning as extenders/receivers, the KVM over IP solutions provides point-to-point extension of HDMI, DVI, or analog VGA over CATx. Functioning as a KVM over IP matrix, the units provide one-to-many or many-tomany console to server access, allowing for seamless monitoring and control. Users can have concurrent access to a server from several remote consoles as well as from the local console. Server selection is accomplished with configurable hotkeys from a console keyboard or through the management software. Posted in Apantac, Latest News, Press Release and tagged Analog VGA, Apantac, Cost Effective Multiviewers, Hot News, KVM over IP, KVM-IP-TX, Multiviewers, Polar Hot News.